On January 30, the Kleinman Center for Energy Policy awarded the prestigious Carnot Prize to Piyush Goyal, Minister of Railways and Coal for the Government of India, at a ceremony in New Delhi. Named after French scientist Sadi Carnot, whose theories laid the foundation for the formulation of the second law of thermodynamics, the Carnot Prize honors those leading revolutions in energy policy to further global progress and prosperity. “The Minister exemplifies the highest principles of the Carnot Prize when he takes on the challenge of addressing both energy poverty and energy transition towards a sustainable world,” said Mark Alan Hughes, Faculty Director of the Kleinman Center. The honor recognizes Goyal’s groundbreaking ventures to reshape India’s energy policy and increase accessibility. 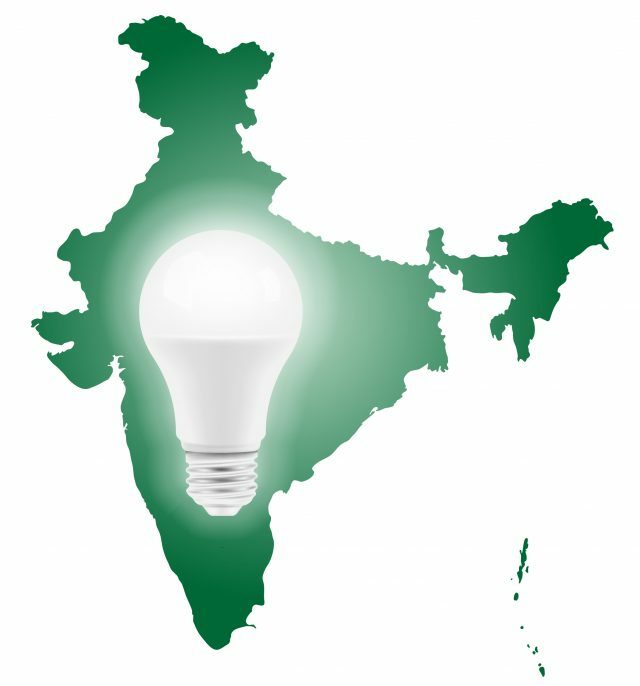 The International Energy Agency (IEA) reports that in the year 2000, less than half of India’s population had access to electricity. Thanks to efforts spearheaded by Goyal, that figure has soared to more than 80 percent of the population, including nearly 18,000 remote villages. “Providing power to the world’s energy poor turns on the lights—and also empowers education, sanitation, and health care,” Hughes said. Fatih Birol, Executive Director of the IEA and 2016 Carnot Prize recipient, presented the award to Goyal. Birol praised Goyal’s power sector reforms, which included the “biggest and most successful” program to distribute LED light bulbs, an act that saved billions of dollars in energy costs. Piyush Goyal (left) receives the Carnot Prize pocket watch from Fatih Birol (right). Friends, family, and colleagues gather in New Delhi to honor the minister’s work. Cory Colijn, executive director of the Kleinman Center, kicks off the ceremony. In his acceptance speech, Piyush Goyal provides highlights of his policy work. The Penn team gathers with the minister following the event. Following the event, the minister makes himself available to the Indian press. Faculty Director Mark Alan Hughes provides a teaching moment about courage amidst complexity. Mark Alan Hughes engages Piyush Goyal and Fatih Birol in a panel discussion. Other projects initiated by Goyal include a comprehensive power sector reform plan, a renewable energy expansion program, and the ongoing conversion of India’s entire railway network to electric power—which would make it the world’s first railway system completely run on electric power. Leaders like Goyal and the work of researchers and faculty at the Kleinman Center are guiding the path toward a sustainable future. Shining a spotlight on Goyal’s exceptional work in India is part of Penn’s commitment to driving energy solutions across the globe—a key priority of The Power of Penn Campaign. View the entire New Delhi ceremony on YouTube. Visit the Kleinman Center website to view past winners of the Carnot Prize and learn how you can support energy research that has an impact around the world.